Office is a small and compact espresso machine that goes just as well in the office as at home. 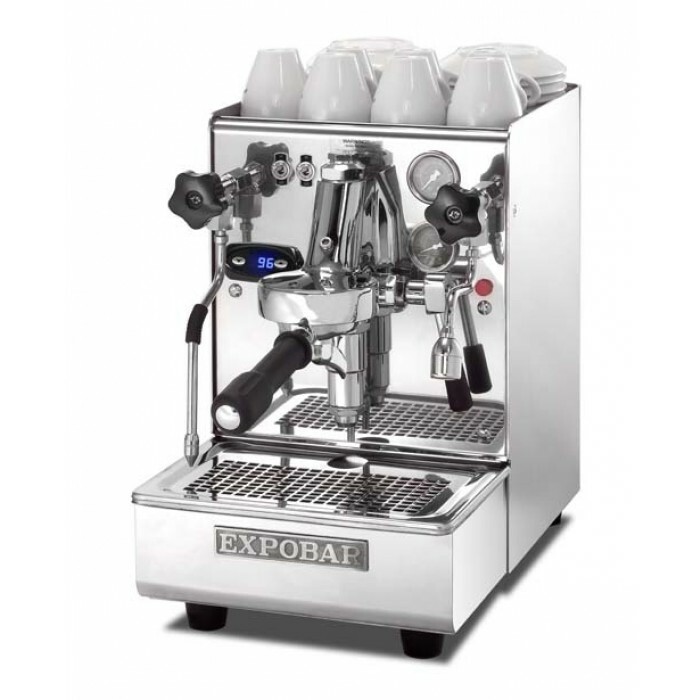 Despite its size, the machine is, of course, built with the same well-tested technology and genuine craftsmanship as all the other Expobar machines. 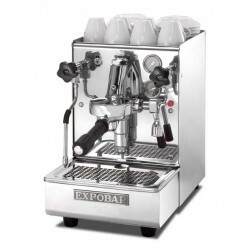 The Office machine comes in a number of models in order to fit in wherever you wish to serve espresso. Thanks to Office, the perfect espresso can be prepared in most places. Model is available with dual boiler system: one boiler for steam, hot water and to pre-heat the water entering to the boiler. The second boiler keeps the right temperature of water for the extraction of coffee. This allows to make coffee and use steam at any time! This model comes complete with the latest generation PID sensor to guarantee a consistent brewing temperature.